Carving on the Edge Festival 2016, a month ago already. It was a blast again. 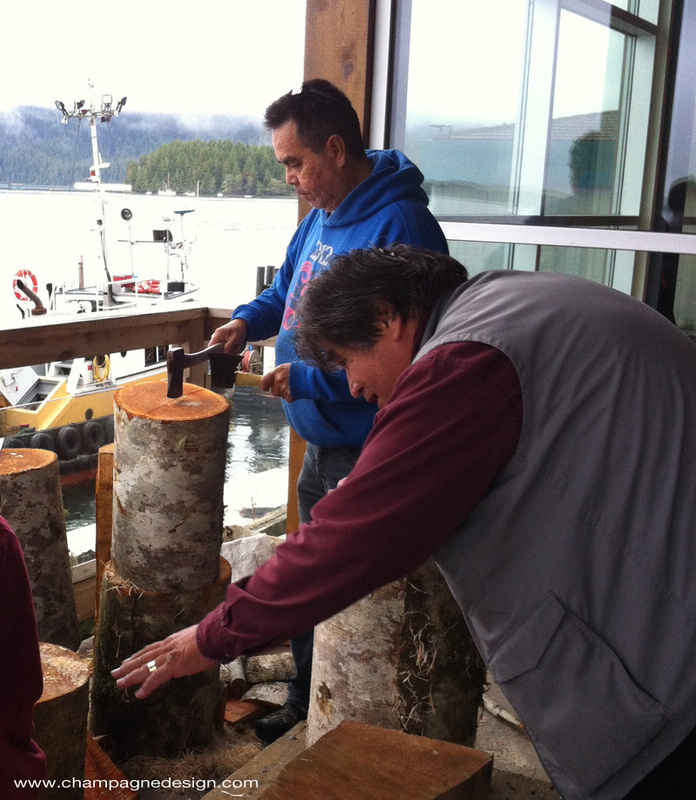 Meeting with friends and fellow carvers. Showing our creations in the gallery. Doing demonstrations for the people coming to the festival. Attending or giving workshops and presentations. 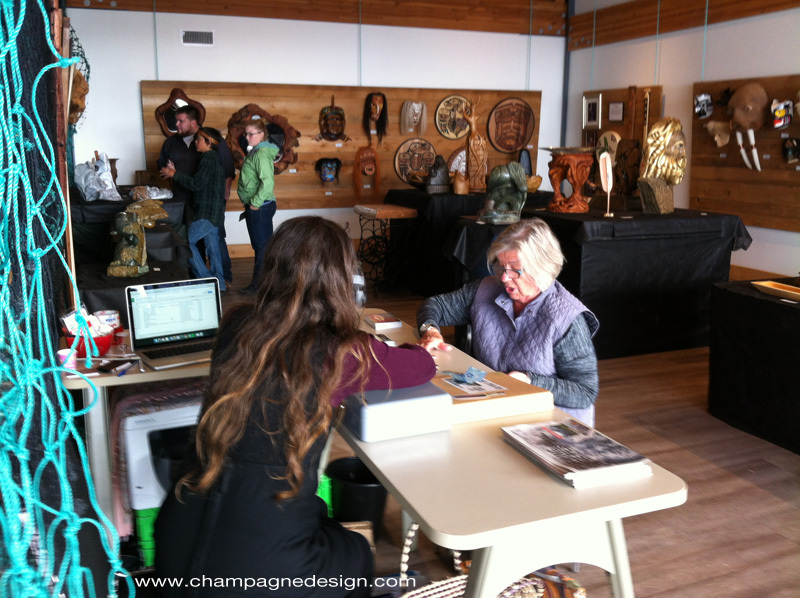 Ten days of immersion in the art of carving. Come next year! A photo by Christopher Roy, of the Trio of Raven People I carved, as well as the Pill Pusher. 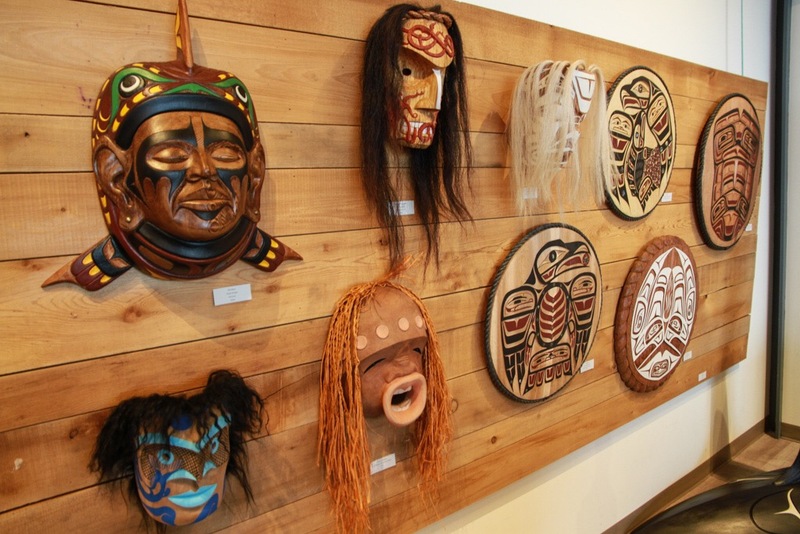 The Three Raven People masks sold as a family, they are staying together and moving to Metchosin! And la ventouse mask was there as well. Getting better every time I carve her. Good tale! Carving demonstrations, chilling with fellow carvers, sharing, making chips with Qwaya Sam, and many mini totem sales by Qwaya Sam the son, in the foregound. 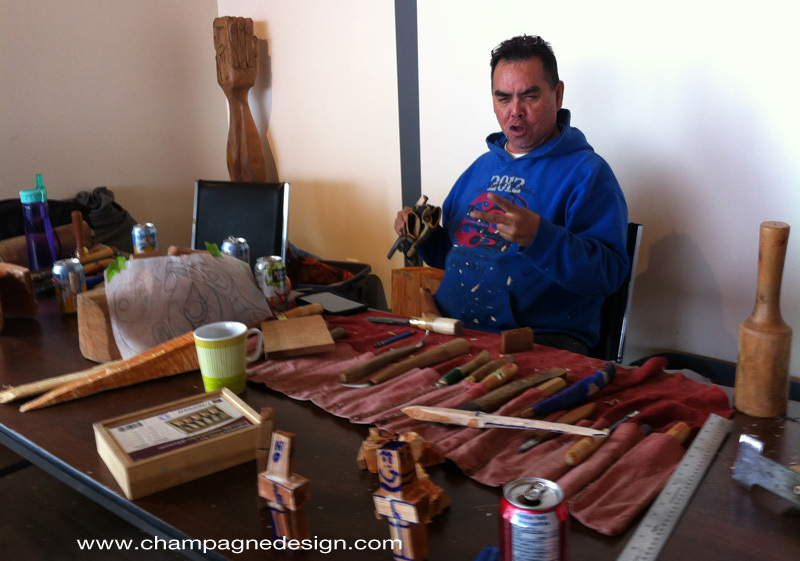 Christopher Roy, le photographe, participating in Joe Martin’s bentwood box workshop. 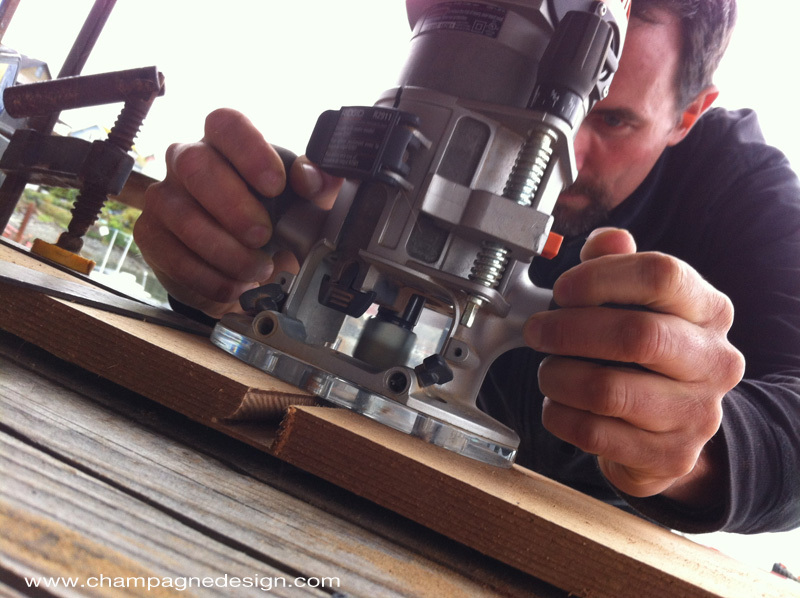 Just look at that router bit! 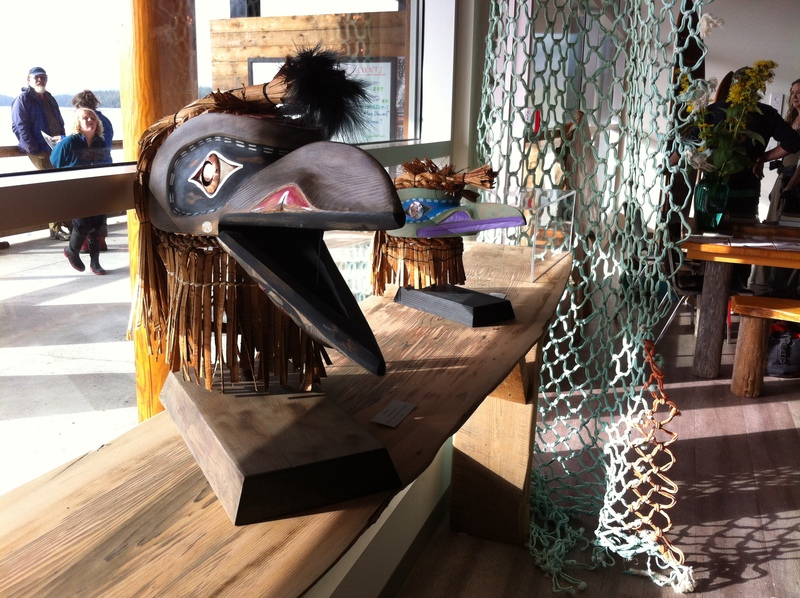 The gallery, displaying carved artwork from all over the Island and beyond. 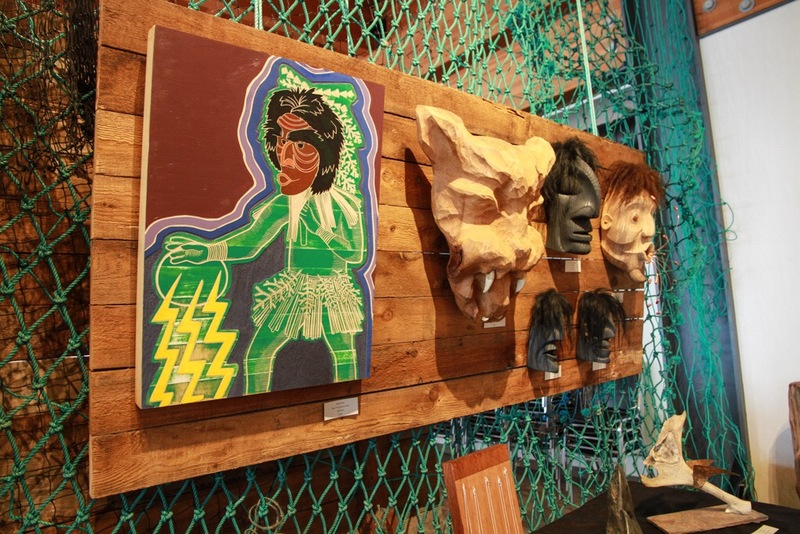 Qwaya’s masks in the foreground. 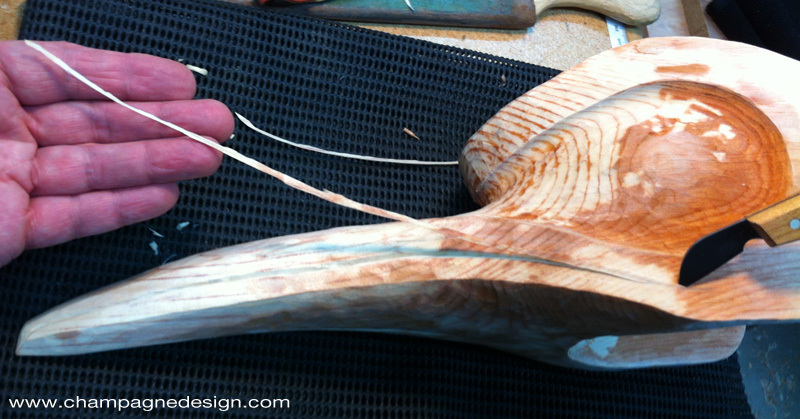 Hollowing out a Hummingbird mask, following instruction by master carver Qwaya Sam. One of the sweetest moments of the whole show, was when Kyle from Kaslo came over to watch Qwaya and I carve. He may have been seven years old. He was peering at eye level, just a few inches above the table. Asked what I was carving. I told him it was a hummingbird, and placed it in his hands. He marvelled, and twisted it around to see all the angles. I’m sure the little Dude will become a carver one day, he was simply glowing with enthusiasm. It think he was there “To tell me it was all worth it”. 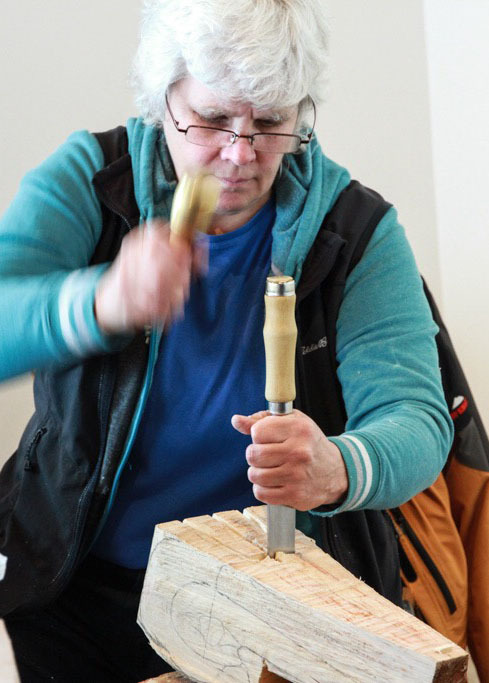 Joe Martin – last year’s workshop was paddle carving, this year he was doing a bentwood box workshop, and always has a canoe on the go, best on planet earth! Great reporting Cine. Loved being there.